Just above is one of the all time best early hill climb photos to be found. 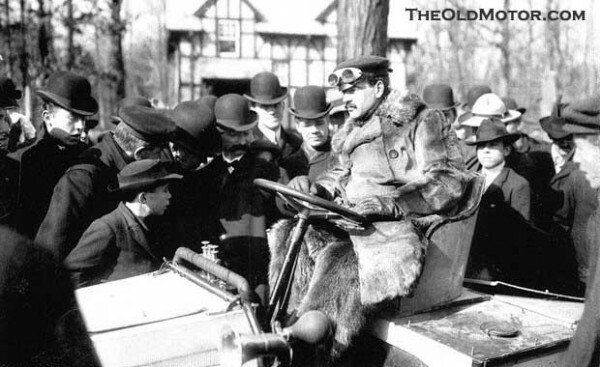 It shows William K. Vanderbilt, Jr. posed in his 30 horsepower Mors, ready to take on and win the 1903 Eagle Rock, NJ, Hill Climb. This hill climb was one of the many events of the type, which started early in the century as form of competition and more importantly as a means of demonstrating the automobile to the public. The Motor of Dec. 16, 1903, had this to say in their coverage of the event: W. K. Vanderbilt, Junior, who made a record hill climb up the Eagle Rock, drove a 30 h.p. Mors, the same car in which he did some remarkable performances in France in the summer of 1902. The one mile course up the Eagle Rock is of an average gradient of 1 in 10, but in parts the pitch rises to 1 in 6; there is a catchy double twist at one part of it, and one or two other turns which necessitate skillful driving. The old record, which the motor millionaire beat by over a minute, was made more than two years ago. Young Vanderbilt is one of the keenest and most daring drivers in America. He has just been elected a Vice – President of the American Automobile Club. Photo at the top courtesy of John Kelm, middle photo from the Peter Helck Collection courtesy of Racemaker press. 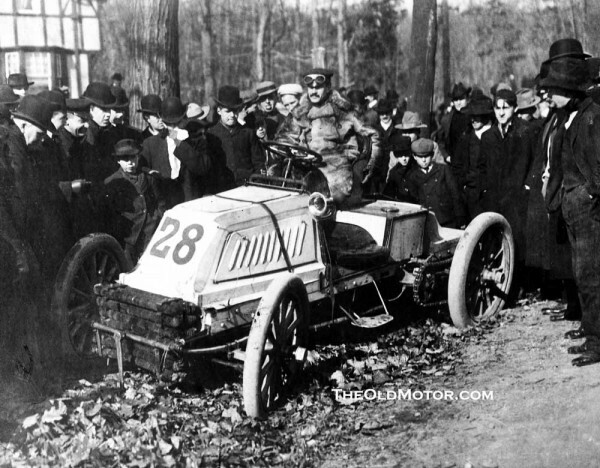 This entry was posted in Auto Racing 1894 - 1942 and tagged 1903 Eagle Rock Hill Climb, Mors Automobile, William K. Vanderbilt Jr..